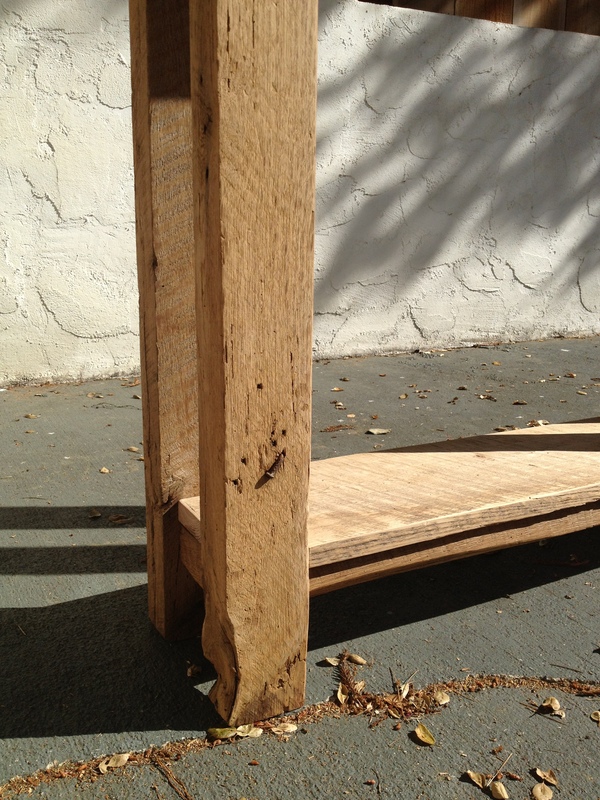 This Oak Dining Table is taking shape. Benchmade by an American Veteran is a hallmark of our style. This table is no different. Thoughtfully crafting and honing each piece takes time. 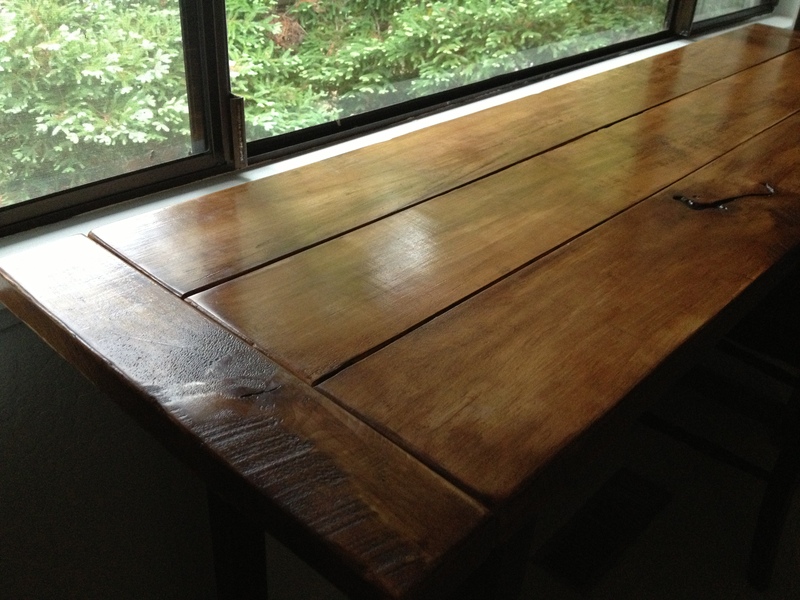 Not every piece of reclaimed wood makes it into the table. Each work piece is selected for character, integrity, and contribution to the project. 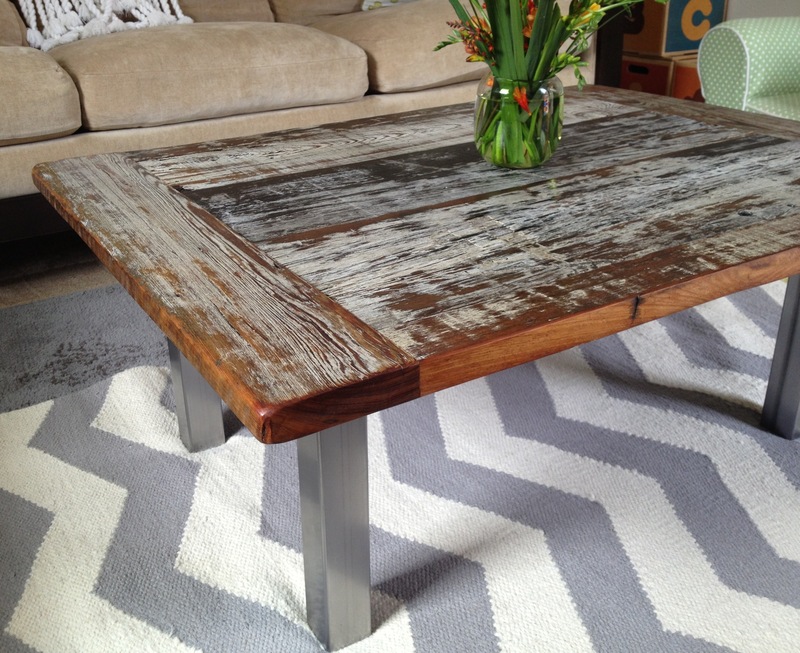 The Oak Barnwood for this table was sourced from Southwest Missouri where some of the best hardwoods grow. The patina and character in this wood comes from a few distinct and unique attributes. First, it’s Old Growth. Part of the original forests that covered this Great Nation. Trees that competed with each other for sunlight and nutrients forced them to grow slow and sure. Second, it was originally selected by a farmer or craftsman for strength when it was built into a barn. Out of all the trees on his land, he chose these for structural timbers. That in itself should say something. Finally, years exposed to the elements in hard Missouri winters and warm and wet summers has brought out the best in this wood. Greys, browns, and tans combine together to yield a beauty not found in retail, box-store, furniture operations. 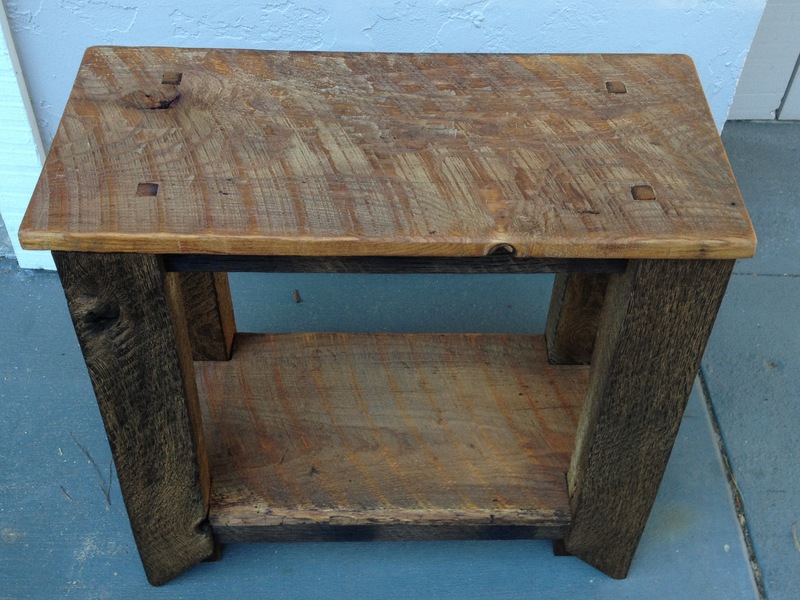 Our latest creation uses Cypress wood reclaimed from a dock in the southern United States. 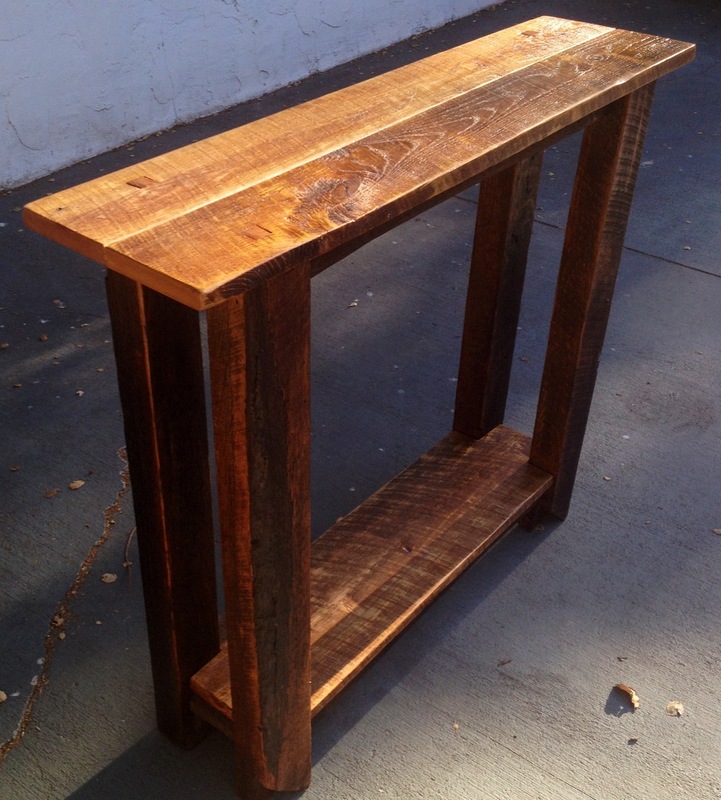 The reclaimed wood is combined with steel legs to make a sturdy coffee table. 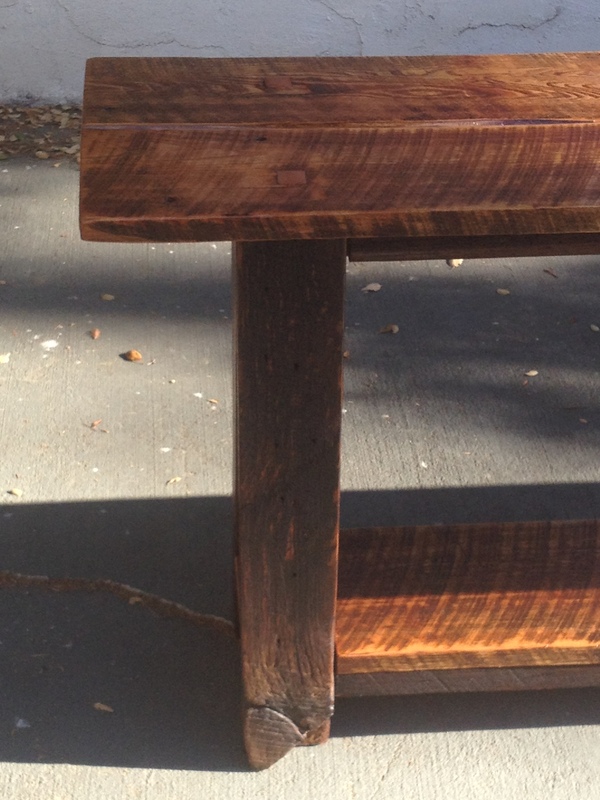 Coffee table made of cypress reclaimed from a dock in the Southern United States. 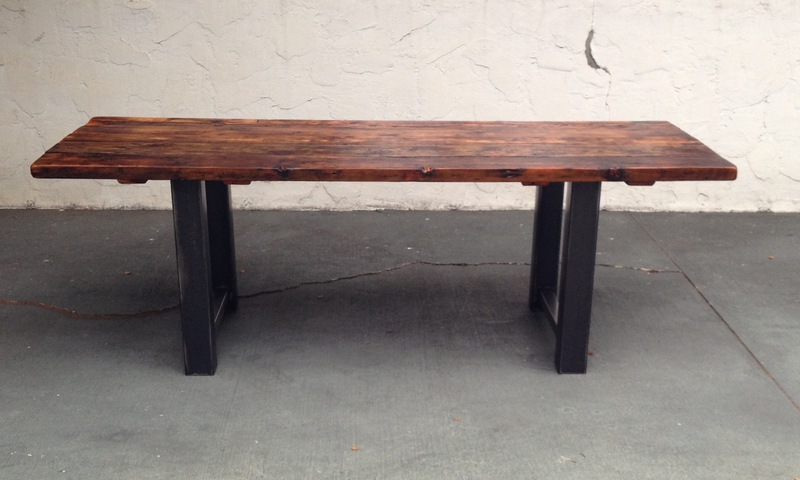 This long table was recently crafted out of 1 1/2 inch thick solid maple. 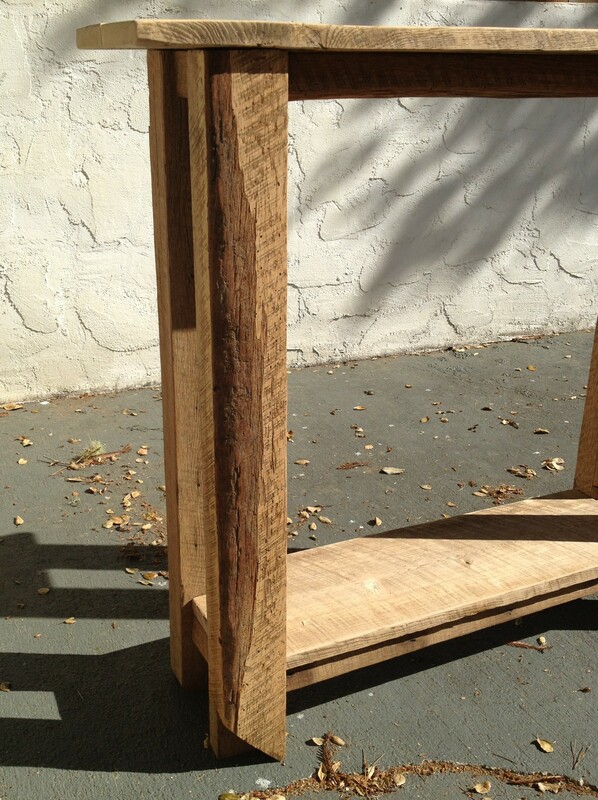 The top is combined with sturdy raw steel bases. Careful attention to detail preserves the unique aspects of the wood in a multi-step naturally safe finish. 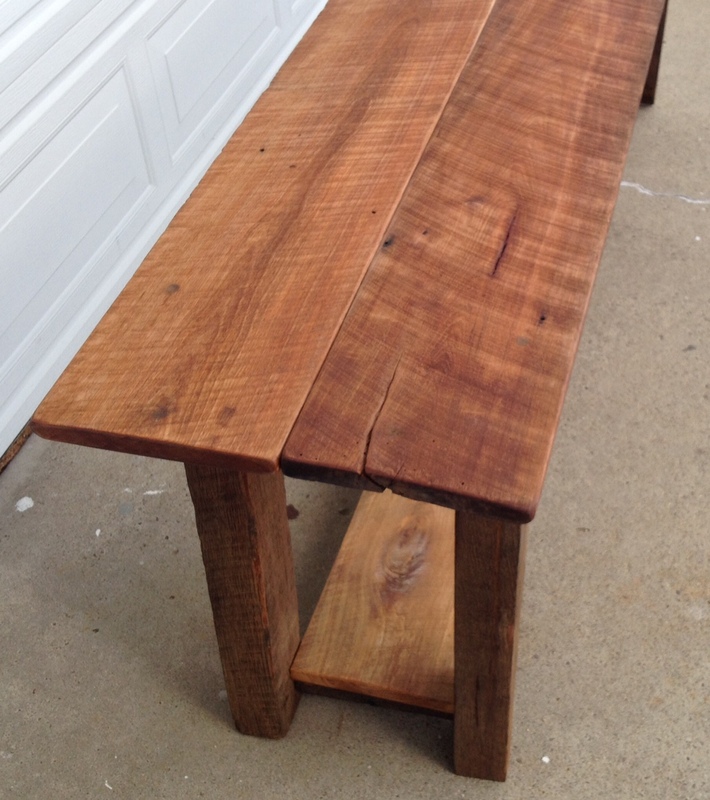 This 100% reclaimed barnwood table is 8 feet long. 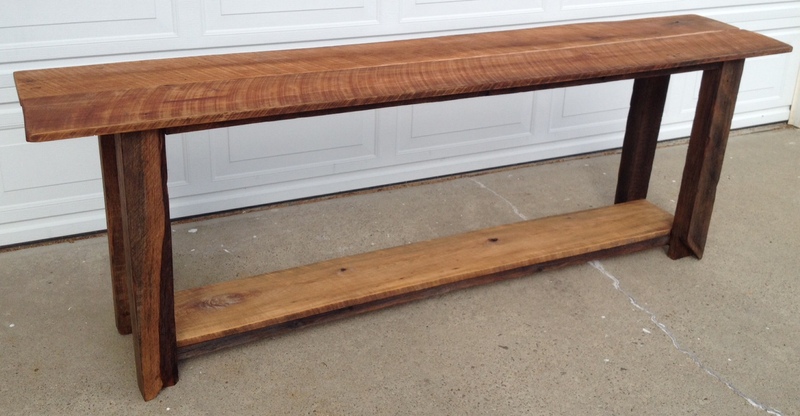 This live edge was created when an early American farmer milled the Oak log to create lumber for his midwestern barn. 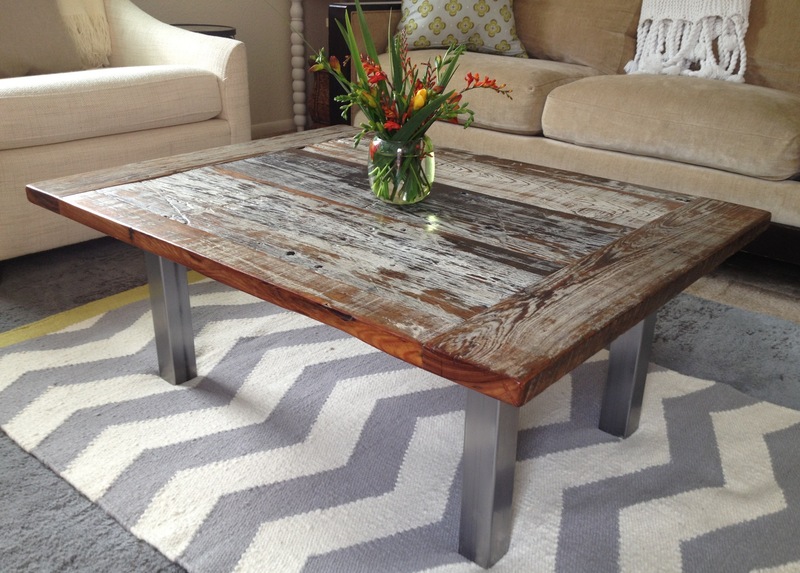 It makes the Tall Barnwood Table unique. 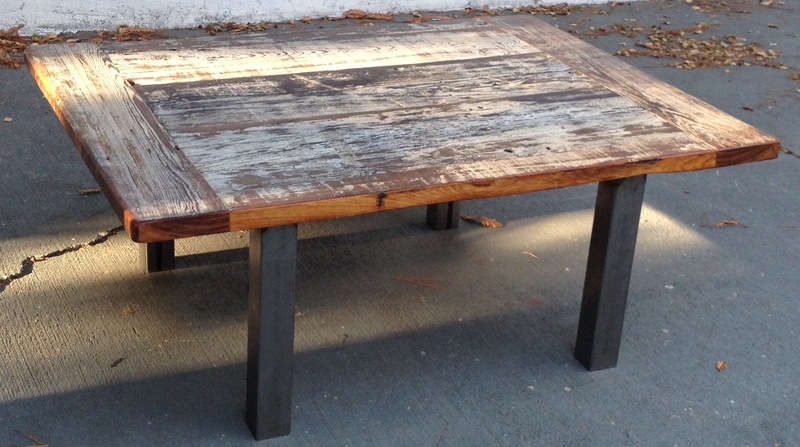 Our latest project is a barnwood table designed and built to custom specifications. It is a tall 42 inches and constructed out of reclaimed white and red oak barnwood acquired in the upper midwest. The wood has unparalleled character attributed to it over years of exposure to the natural elements. Several areas show joints hand hewn by early American farmers as well as one big old square nail we left in it. 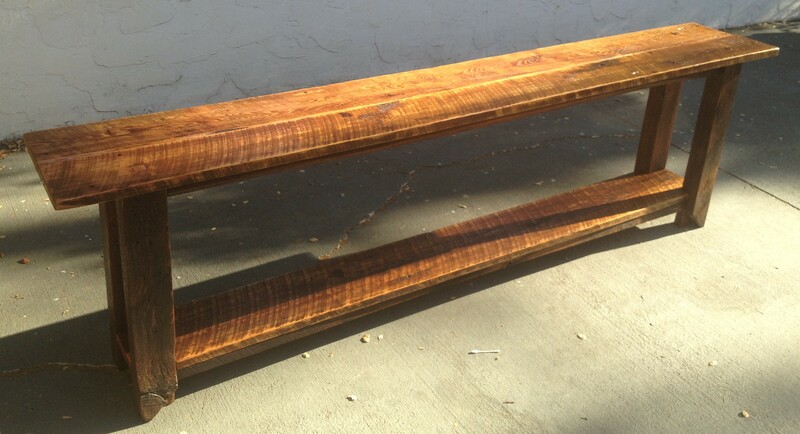 As seen here, the wood is planed and sanded without application of the natural oil. 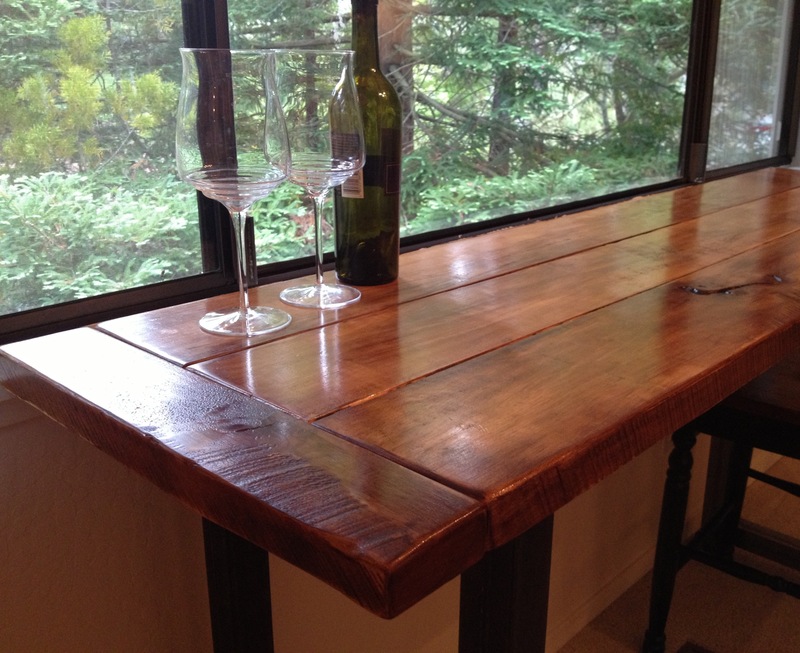 Mortise and tenon joinery make this table extremely strong. Ever want two things that match, but are not the identical? When things are identical, they look mass produced. Big retailers have robots that mass produce their tables. We make every piece by hand with attention to detail using authentic materials. 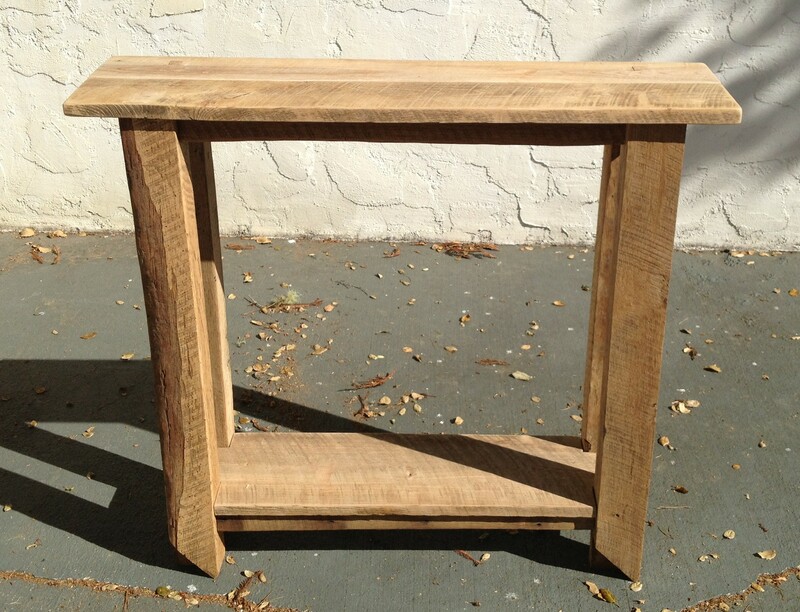 The Barnwood Side Table II is 100% reclaimed White Oak. Salvaged from a barn in the midwest, the materials in this table have a ton of character, earned over years of exposure to the elements. The craftsmanship accentuates the wood’s unique characteristics by drawing attention to superficial cracks and areas that were cut by the original farmer. Can be built to custom specifications. 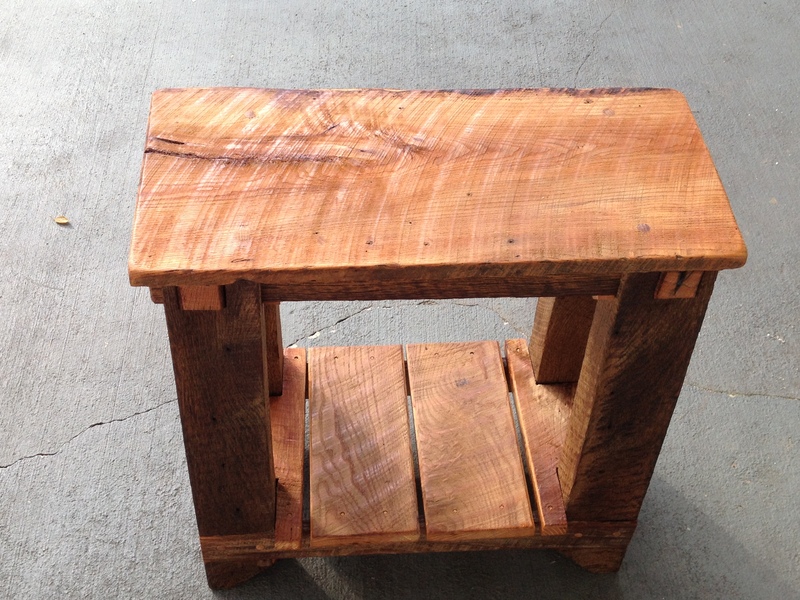 This side table was hand crafted out of 100% reclaimed materials from a naturally fallen barn in the midwest. It was meticulously designed to meet a customer’s specific requirements. 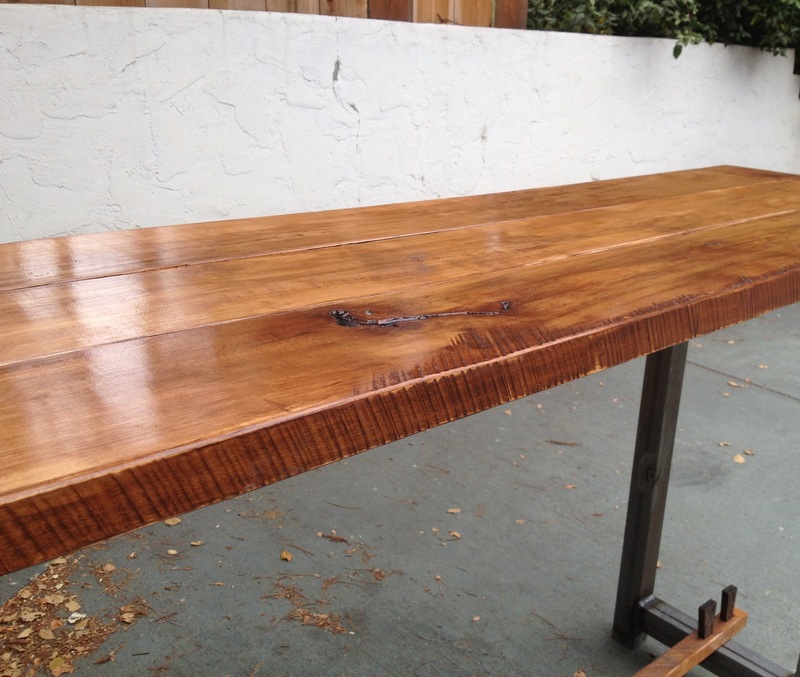 Careful attention was made to preserve certain architectural elements of the wood from which this table was crafted. 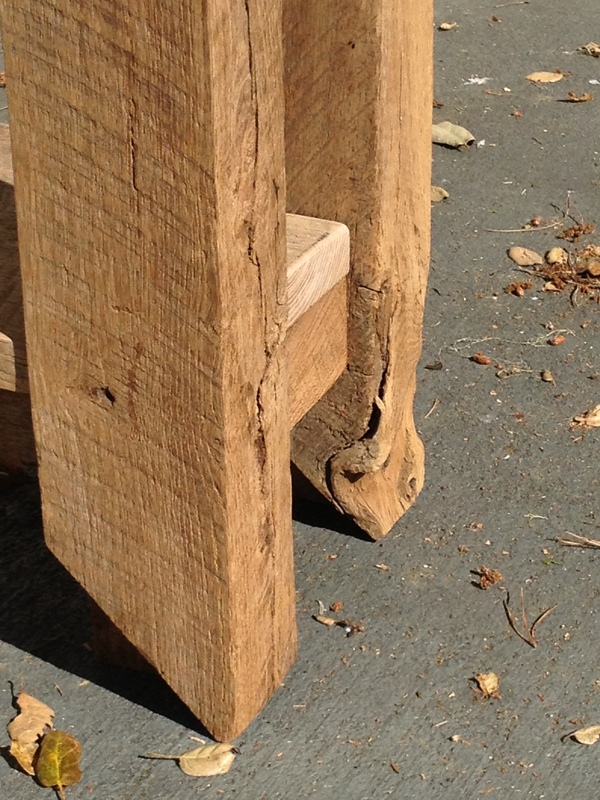 Hand hewn joints from the original barn make up the four footings of the table. Knots, nail holes and superficial cracks give it a unique character only found in custom products. 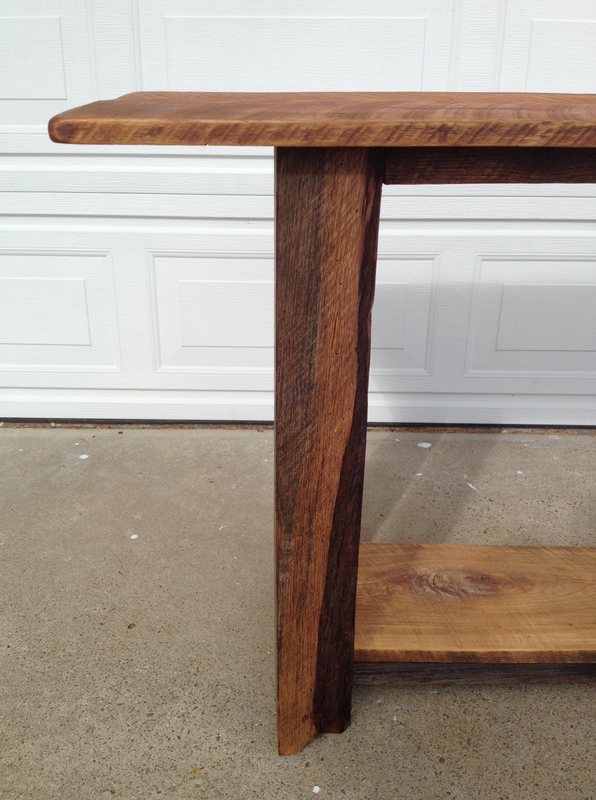 Mortise and tenon joinery ensures this table is solid enough to support over 200 lbs. This conveniently doubles the purpose of this table as seating or even a step stool. Can be built to suit, can be replicated, and has a matching long thin table as well. Price varies with size, finish options and does not include shipping. 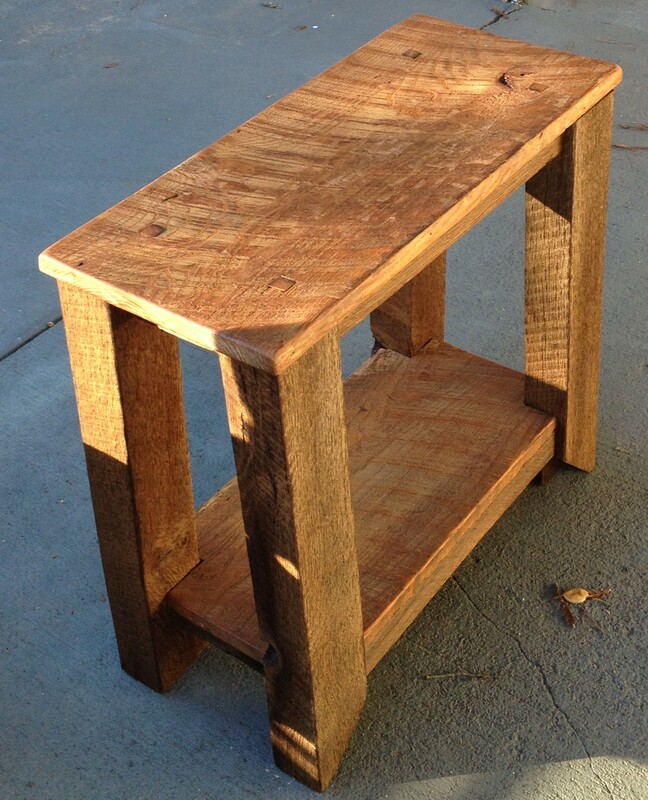 100% reclaimed White Oak Barnwood Side Table. Natural finish.